Tai Chi Chuan is an ancient Chinese Martial Art. Tai Chi Chuan is well known for its superior health benefits and high level of effectiveness in combat. Tai Chi forms are performed in a slow and relaxed manner, which calms the mind and releases the mental and physical tensions of our modern stressful lifestyle. As a martial art, Tai Chi Chuan uses the theory of "four ounces of strength against a ton of force," repelling the opponent without resorting to force against force. A friend forwarded this link to me, as I have fibromyalgia. 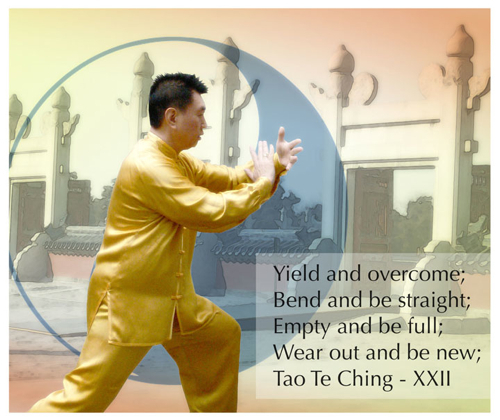 Also, they studied the Yang style of Tai Chi specifically. While a small study, I think I am also proof that Tai Chi helps control the pain and fatigue." Arthritis Foundation Recommends Tai Chi! Tai Chi Protects Against Infection!